Charities can incentivise donations using their social media pages and website, writes Content For A Cause co-founder Nicholas Soraghan, who offers his tips for organisations to increase their donation potential. 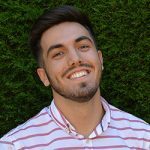 Nicholas Soraghan is the co-founder of Content For A Cause: a social media and content marketing company exclusively for the non-profit sector. They are the agency of choice for charities to grow their online community.